Win two mystery skeins of gorgeous yarn! something beautiful. Sometimes it’s quite unexpected and that’s the exciting part!” says Debbie. Pick from pretty florals (Grandma’s Garden), to bright aqua and soft blue (think Game of Thrones) to warm yellow tones. 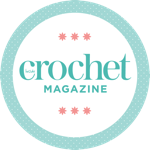 Competitions are only open to UK residents who are Inside Crochet readers and/or visitors to the Inside Crochet website unless otherwise stated. Competitions are not open to employees of Tailor Made Publishing (or members of their families), affiliated companies or those associated with these competitions. Prizes are as offered and are non-transferable, non-refundable, non-changeable. No cash alternatives are available. Only one entry is permitted per person and the editor's decision is final. Entries end 17 April 2019 (unless otherwise stated) and entries received after the closing date of the promotion will not be considered. No responsibility is taken for entries lost or delayed, by way of post or technical errors including malfunctions via the website. The winner will be drawn at random and the editor's decision is final. No correspondence will be entered into. By entering, you confirm that we may make any use of your entry as we require, including publishing it on the magazine or website. The winner will be notified within 28 days of the closing date. Unless specified otherwise, if a prize remains unclaimed for six months it will not be awarded, provided reasonable attempts have been made to contact the winner using the contact details supplied. Please indicate on your entry if you don't want to receive information about the competition or other Inside Crochet promotions. Inside Crochet will only share this address with its sister publications and carefully selected partners.